Extruded acrylic rod provides an economical alternative to the higher quality finish of cast acrylic rod, but is limited to a maximum diameter of 40mm. Extruded acrylic rod is not suitable for machining due to how the chemical bonds are formed during the extrusion process. 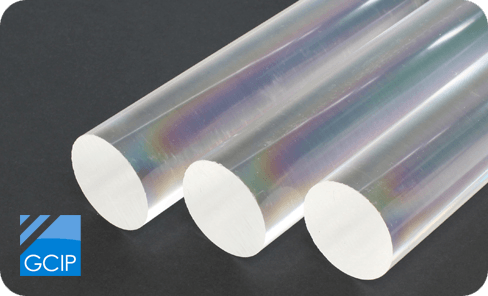 Cast acrylic rod provides a highly polished and high quality optical finish. Cast acrylic rod is manufactured in lower volumes and offers finished rod diameters of up to 200mm.